Here’s a fun one for my bug blooper series of mislabeled and misidentified bugs from around the interwebs. This is a very cool one. Take a close look, because I love these little guys. This is not a fire ant. And it’s not an ant. 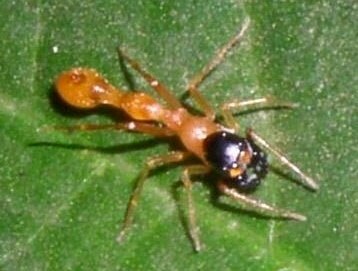 This is a nifty little ant-mimicking spider. Nobody’s messing with him. For more great photos check out Up Close With Nature’s excellent post on ant mimicry. 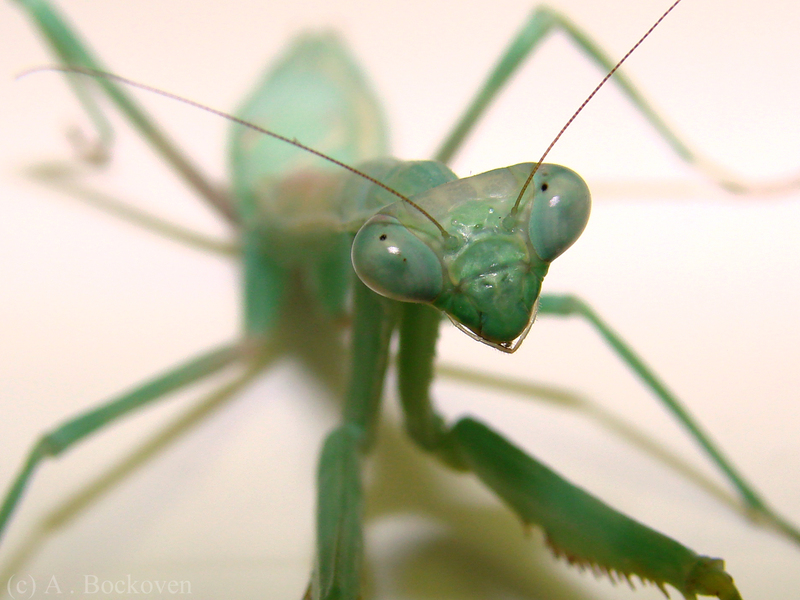 Close up of a Carolina mantis (Stagmomantis carolina). Another close up. This is a Carolina mantis I’ve been raising for a while. 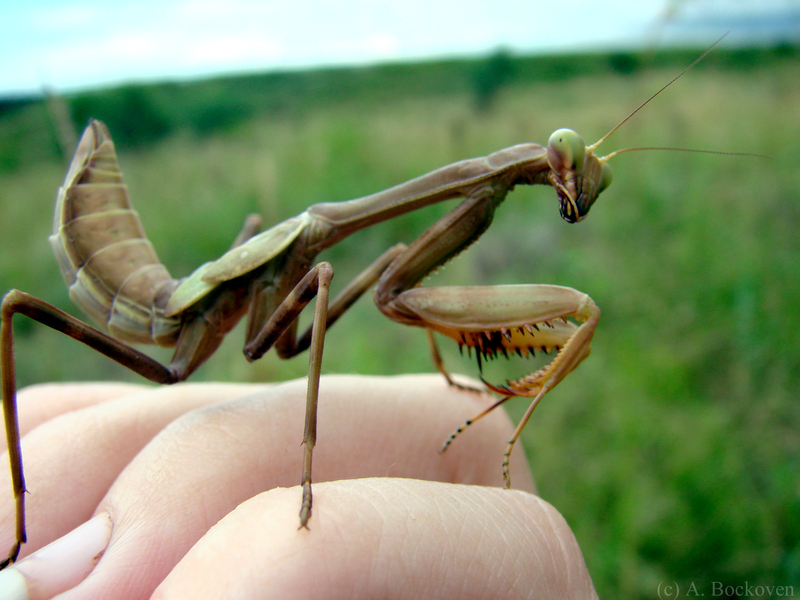 Recently I took her along to an outreach program where we had a live insect zoo, and the kids got a huge kick out of seeing and holding a preying mantis. I had meant to take a picture for the blog, but Christmas break has apparently soothed her nerves sufficiently that she can be handled again without instant mantis-freak-out. Chinese mantis first instar nymphs (Tenodera sinensis). 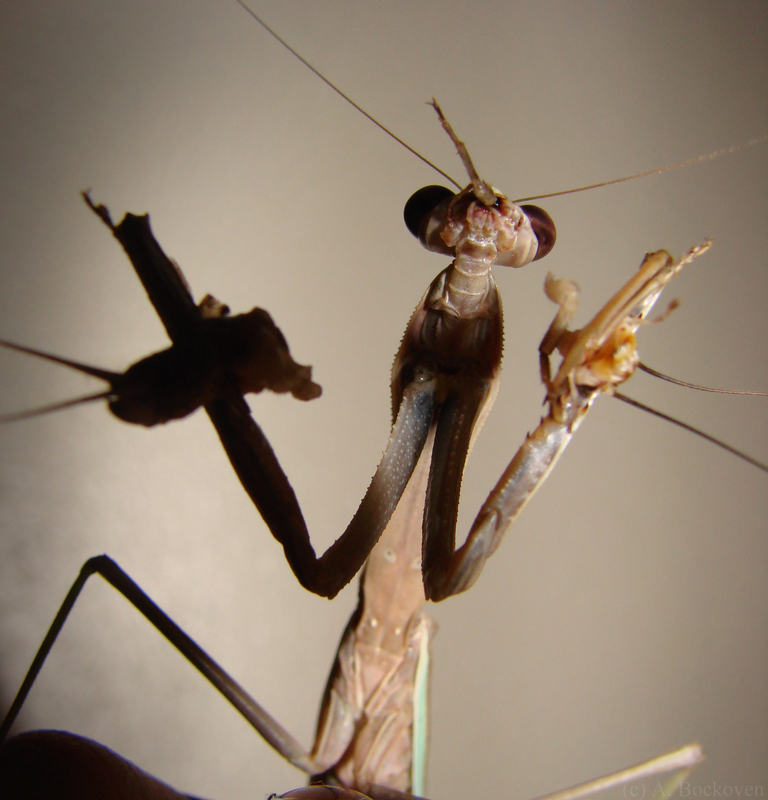 Here’s some video clips of the Chinese mantises I reared out of an egg case early this year. I enjoyed watching them hunting fruit flies, grooming, fighting, and molting. 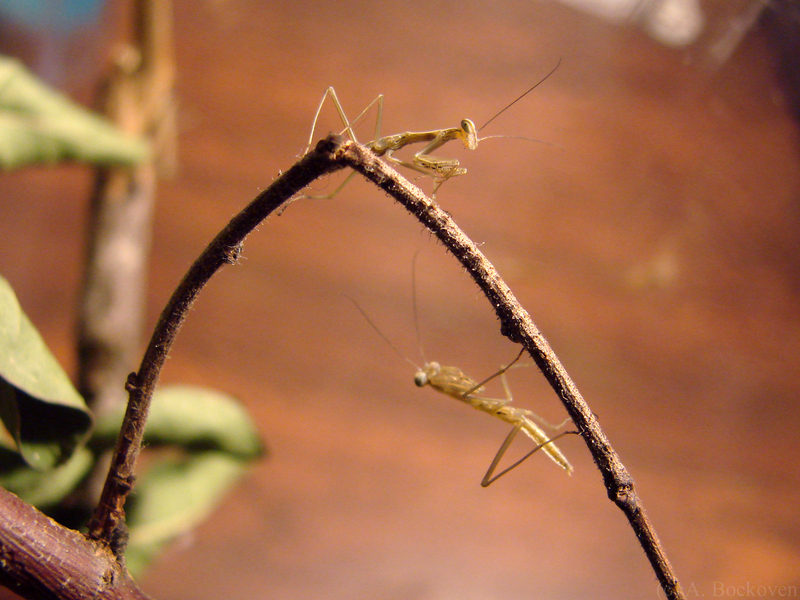 These are pictures of mantises in the first instar, or first molt, not long after hatching. At this age they’re tiny and fairly vulnerable, but also fast and terrific jumpers. I’ll include some pictures of adults in the next post. 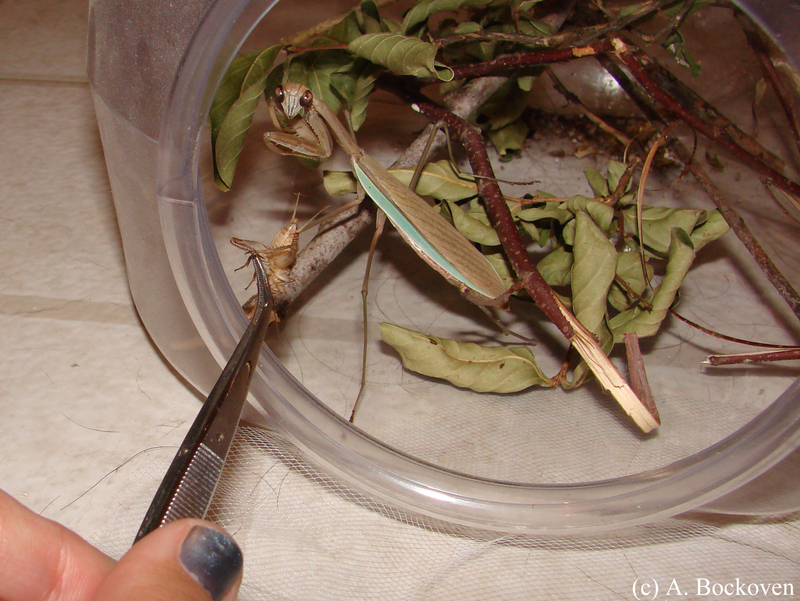 Mantises are a lot of fun to raise as pets. They’re low maintenance, fun to observe, and one of the more charismatic and interactive insect pets–they’ll turn their heads back and forth to watch you and even take bits of food offered with tongs. In the spring you can find mantis egg cases (ootheca) for sale on a variety of garden websites as well as eBay. An mantis lurks on flowers, awaiting prey. I found this flower mantid doing as it’s name might suggest in Argentina. The most well known flower mantis is the Malaysian orchid mantis, a striking pink flower-mimic. 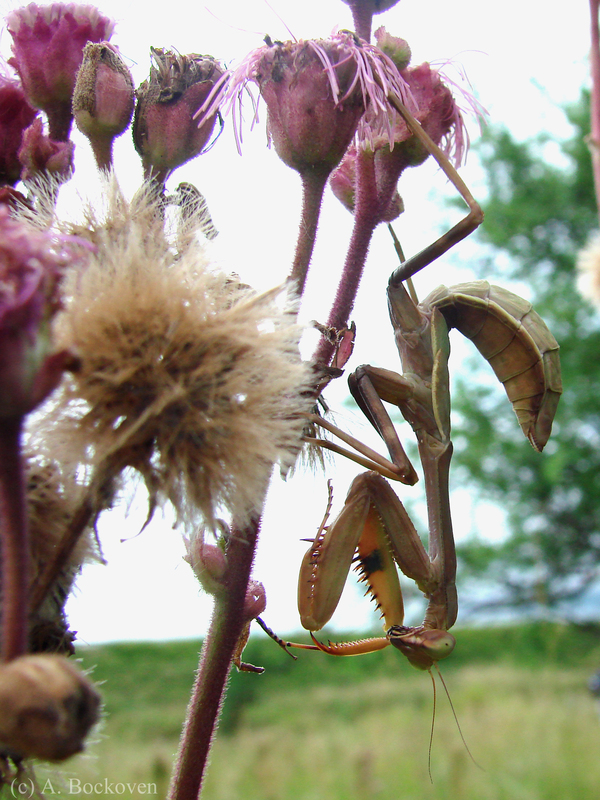 These particular flowers were buzzing with insect activity, so this mantis had found a good hunting spot. 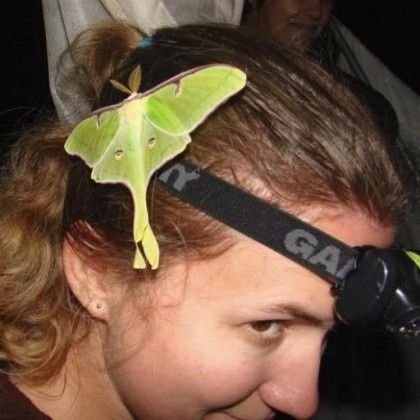 Like many insects which lack a pupal stage (such as a cocoon or chrysalis), immature and mature mantises can be distinguished by the development of the wings. 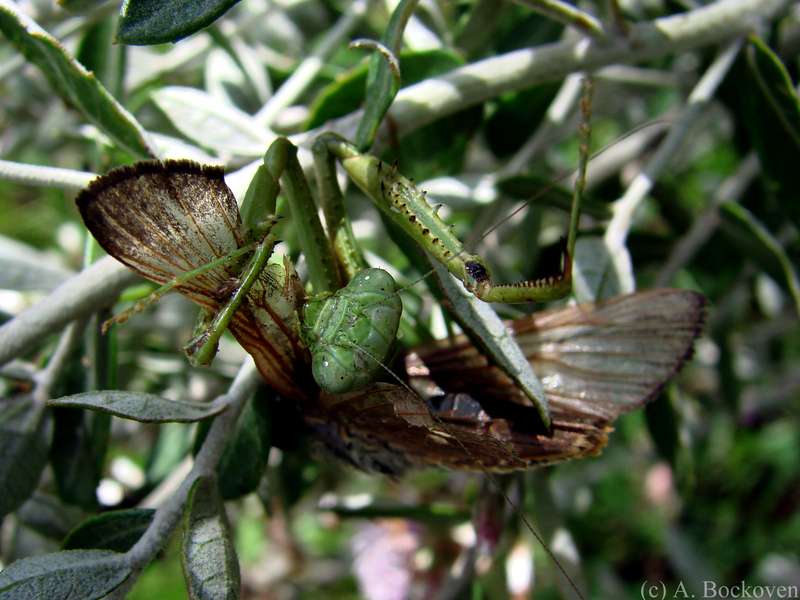 In this juvenile mantis (called a nymph), the two pairs of partially developed wings are visible as ‘wing pads’ just before the down-turned abdomen. 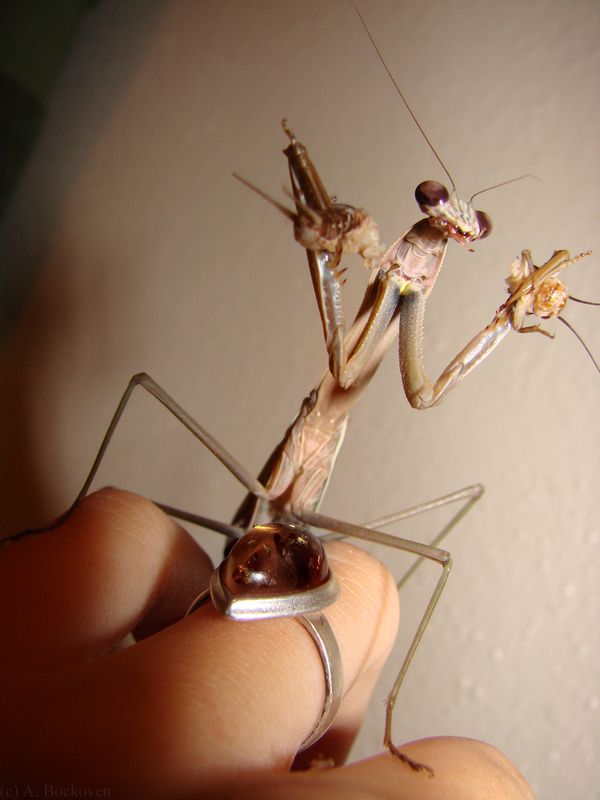 The wings will only be fully formed after the final shedding of the exoskeleton as the mantis achieves its final adult form. 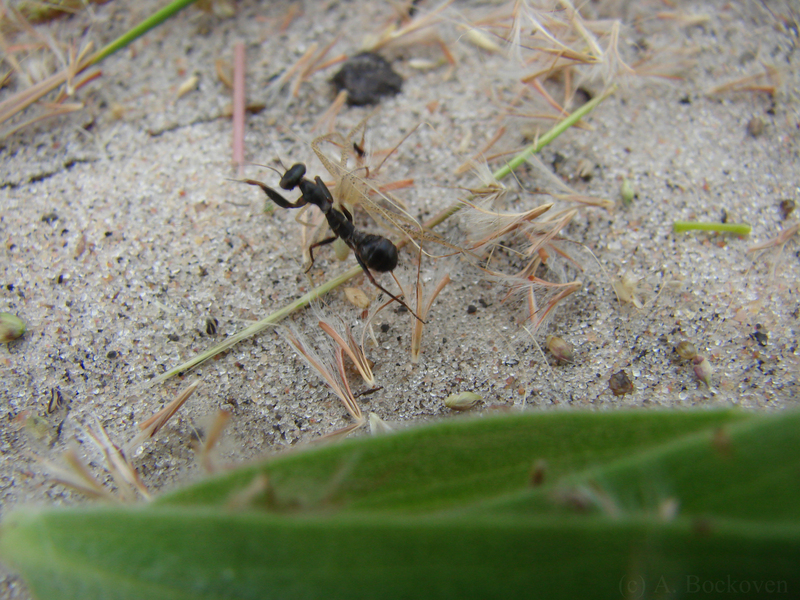 Only adult insects have wings, although some species, such as worker ants, walking sticks, and burrowing roaches have become secondarily wingless in the adult form. A mantis munches on a struggling skipper. The frantic fluttering of this skipper caught my eye at one of the Argentinian field sites. The mantis that had snatched the little butterfly had only got hold of one wing, and couldn’t quite seem to manage to get her lunch under control. After a valiant struggle, and some munching on the wing, she eventually lost her hold, leaving the mantis hungry, and the skipper crippled on the ground below. Being a bug is not much fun. 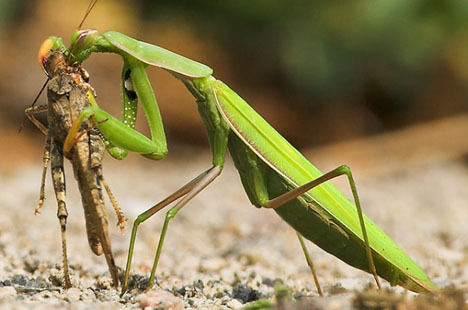 Quite a number of insects have independently evolved raptorial forelegs for capturing their prey, but mantids (order Mantodea) are by far the most well known for this feature. Raptorial means ‘grasping’ or ‘adapted for seizing prey’ — think of the talons of birds of prey (raptors) or those of the cunning velociraptors from Jurassic Park. The opposable spines on the mantid’s front tibia and femur fulfill a similar purpose, and their long reach and speed make them dangerous predators in the insect world. 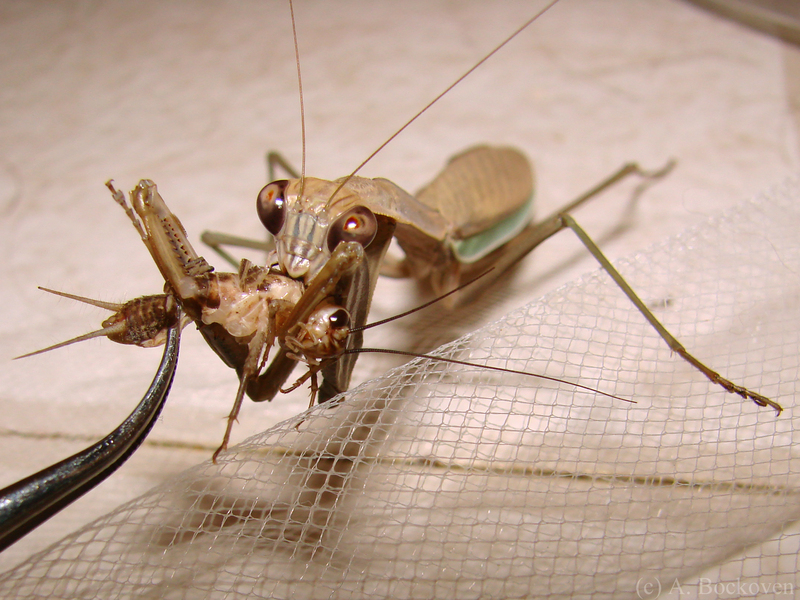 Mantises have even been known to lurk on hummingbird feeders and pick off the unwary bird.